Avro Lancaster S-for-Sugar being prepared for its 97th mission. 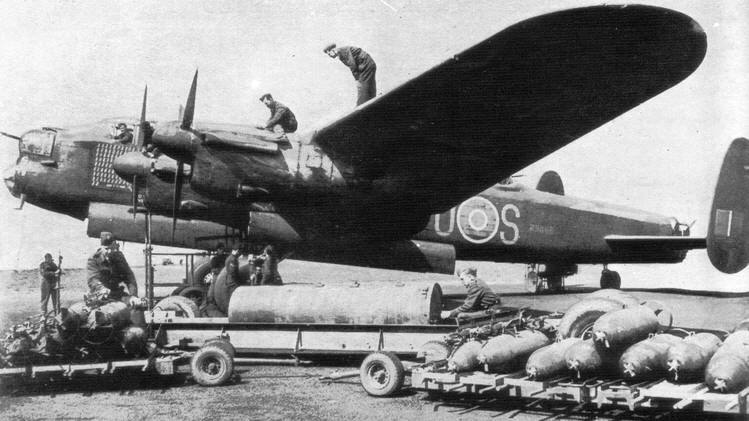 Note the 4,000lb bomb in the centre of the scene. Sadly the first letter of the squadron code is obscured.